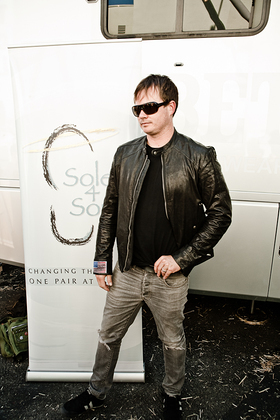 Blink-182 frontman Tom Delonge joined charity Soles4Souls in LA for a special event last weekend. 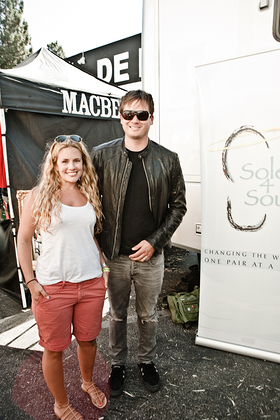 The event was to launch the Macbeth Footwear – the band’s own shoe brand – Fall collection, and was held at Sportie LA. Soles4Souls spokesperson, TV personality CaCee Cobb, came out to the event to raise awareness for those who are not fortunate to have a single pair of shoes. CaCee was able to speak with many of the consumers who showed up on Saturday. Macbeth pledged to donate 3 new pairs of Macbeth shoes for every shoe that was sold inside of Sportie LA. Sportie LA totaled 21 pairs of shoes, and Macbeth donated 63 new pairs of shows to S4S.